Finding duplicate files is important not only in Windows 7, but in all operating systems and Windows versions. Finding duplicate files will not only increase your free disk space by performing a disk cleanup, but will also improves system performance by getting rid of useless files. The count of files impacts performance while searching for files. This is an operation that is performed also by the operating system and the applications and improving its speed impacts the overall system performance. 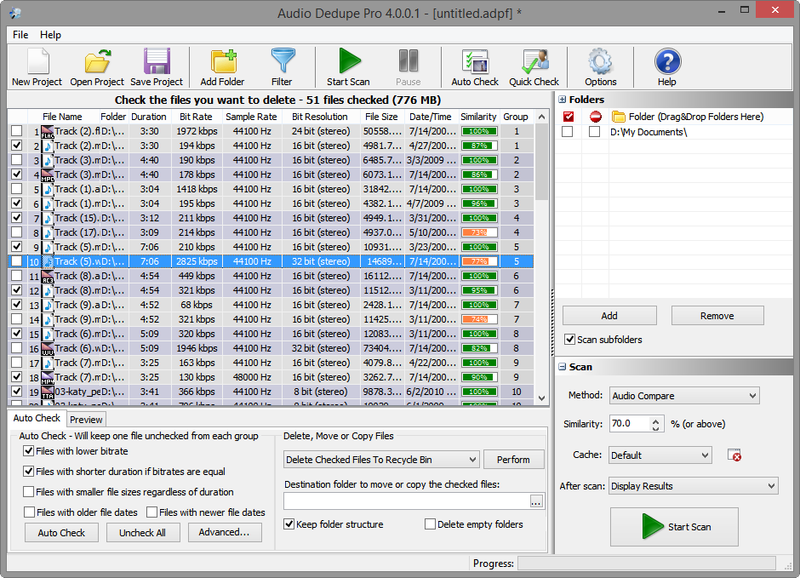 While duplicate finders can save valuable disk space and improve performance they can lead to total disaster if an unreliable tool is used or important system files are deleted. There are plenty of such tools on the market and one should carefully choose which one to trust. In next section a description of the key features that a duplicate file finder should have are listed. A duplicate file finder should compare the file content. While there may be an option to search for duplicate file names or files with same size, these are not the measures which qualify two or more files as duplicates. Protection for system files and folder. While it is not advised to remove any files from the system folders a protection inside the application should prevent such possibility by default. Comprehensive reports with detailed file/folder information. Reliable mechanism for automatic selection of files preserving at least one copy. Filtering option with features to include or exclude certain files or folders in the scan process based on various properties. Option to make a backup of the duplicate files by moving them to a certain folder. Fast Duplicate File Finder is a free Window application for finding duplicate files provided by MindGems Inc. Fast Duplicate File Finder is on the market more than 10 years and used by millions of users. It provides accurate results in the shortest time. You can find also dedicated duplicate image finder and duplicate mp3 finder at the company web site. This entry was posted in Information and tagged 3 Best Duplicate File Finders, 5 Best Duplicate File Finders, 7 Best Duplicate File Finders, Ashisoft Duplicate Finder, Auslogics Duplicate File Finder, Best Duplicate File Finder, Best Free Duplicate File Detector, Duplicate File Finder, Duplicate File Finder Windows, Duplicate File Finder Windows 7, Easy Duplicate Finder, Find Duplicate Files, Find Duplicate Files In Windows 7, Free Duplicate File Finder, Free Duplicate Finder, Freeware Duplicate Finder, Gemini: The Best Duplicate File Finder and Cleaner for Mac OS X | MacPaw, The Best Duplicate File Finder, Top 3 Duplicate File Finders - Free Duplicate Music File Cleaners, Windows 7 Duplicate File Finder, Windows Duplicate File Finder on February 18, 2013 by MindGems Support.